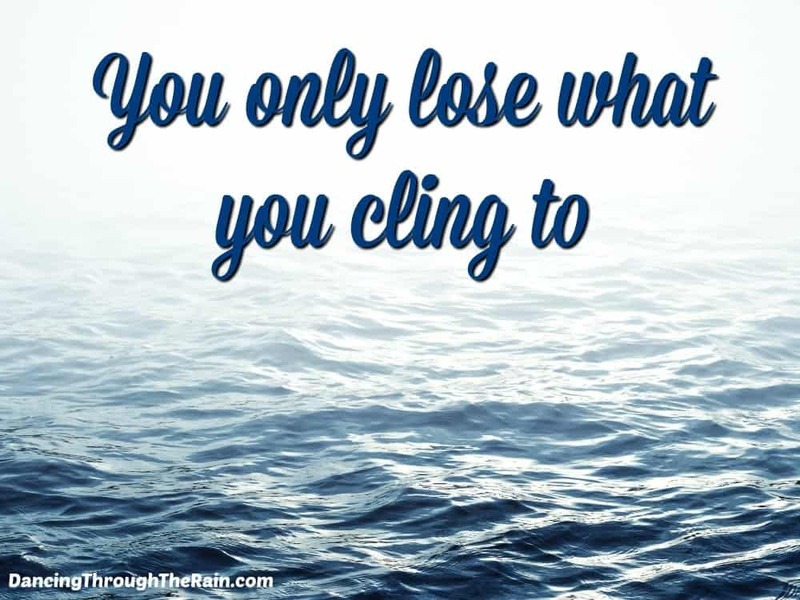 As people and friends and parents, we tend to want to cling. We want to make sure that those we love are okay and just know that if we talk to them or touch them or hold them on a regular basis, we can keep them that way. It’s not the truth, but many of us feel it. 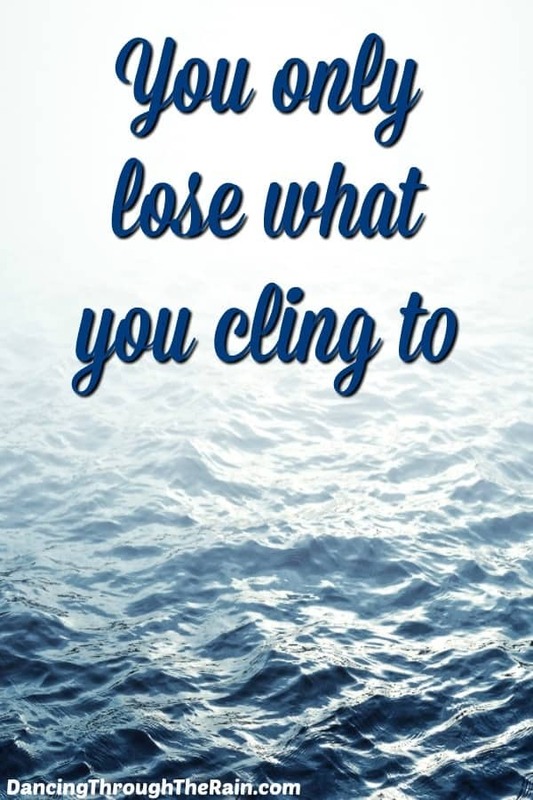 We cling. We want the best. We want to make sure that everything is right with the world in which our loved ones live. And while we spend our time gripping and holding on for dear life (as gently as possible), life is passing by. My eleven-year-old son just went on his first big trip without me and my husband. He took a car trip eight hours away to visit my mother-in-law’s cabin with his two cousins (very similar ages). He was more excited than I could possibly express in writing and I was excited for him. When we first made the decision for him to go (which was only a few weeks ago), my husband was on-board and ready. I, on the other hand, had a bit of a tougher time. I have tried hard to give my kids their space when they’ve wanted and needed it, but this was my baby. There’s an animalistic instinct to want to protect our young, but what was I trying to protect him from? That was the question. I processed this trip for a few days before I was truly settled. I did all of this in my head of course, only telling my son that he was going to have a fantastic time. But what I finally came to is this: I gave birth to my children so that they could live. And while I enjoy being with them and feeling that I am the protector from all things bad in the world, this is not about me. This is about him. And he wants to go. He wants to live. He wants to spread his wings. So to give him the best life possible, it was my responsibility to remember that this moment was his. I let go. And in the letting go of the ones we love, we let them live. 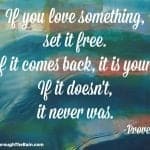 This is a very similar principal to “If you love something set it free. If it comes back it’s yours. If not, it was never meant to be.” As much as we want to protect and cling to those we love, that clinginess is smothering. The clinginess is our making ourselves feel better about a situation that often has more to do with someone else. What it does not do is allow the other person the true freedom to live their life. They are too worried about you to do so. Are you going to be okay if they’re gone? Will you obsess about their safety/happiness/well-being? Maybe they should just stay, they don’t want to put you out. 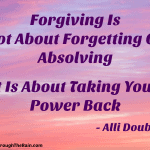 And whether it is our intention to smother or not, a bit of resentment will often creep in. Can you blame them? In planning for my son’s trip, I had asked my mother-in-law to let us know that they got to the cabin safely and maybe call once or twice if they could. She’s great about texting photos, but I really didn’t want to get in the way of their enjoyment on this trip. The last thing that they needed was to worry about calling me or my husband while they were supposed to be off fishing, eating humongous pancakes and staying up too late. Go live! Go have fun! I will enjoy hearing about all of it later. You may be saying, “Easy for you to say” in your head right about now, and I get that. It is never easy to let go. 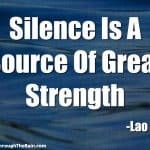 The title of this post is a mantra that I’ve started for myself for that reason. I am a mother, I love my children with everything that I have, and I feel that need to protect them. That said, my need for those things is not always helpful to them. As they grow, they need me to let go. And so I must. Let go and go live. 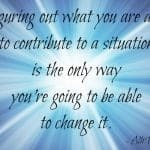 I must focus on the letting go so that they can go live. And so that I can go live! While my children are only 9 and 11 now, they will soon be 18 and 20. They will not want me in their business all the time and they will want to know that I have something else to do. So whether that comes naturally or not (and honestly, it’s more natural the more time that goes by), it’s the healthy choice for all of us. The people in your life who love you will be around; they aren’t going anywhere. You may not talk every day, you may not see them every month, but they are there. Let them go so that they can live. Don’t make them feel as if you are a hindrance to their experience. Neither of you wants that and neither of you are intending for that outcome. Let them go so that you can live. Go take a class, create some art, go on a trip. Go live. It is why we are all here. Well said, friend, well said!